With all of the buzz about the Galaxy Zoo Zoonometer™ and our challenge to reach 1 million clicks in 100 hours it’s easy to forget that these 1 million clicks are just part of a much larger total. Late yesterday afternoon we smashed through the 20 million mark and the Zooite who has the honour of the 20 millionth click is ‘cor riff’. ‘cor riff’ has so far classified 281 galaxies which makes them somewhat of a veteran. Congratulations to GALAXY ZOO and cor riff. lets go for 100 Million now! I’m not sure what the point is of my clicking and classifying when this is considered to be a ‘barred spiral.’ There’s no way I would have classified it as that. Hey…if we have done 20 million…how many does that leave to do? You know, till we have classified all in the know universe? there should be a score system based on number of galaxies you done and percentage of them matching another user’s. I think some sort of statistics for users or seeing who’s ahead makes it more interesting. Congratulations Guys. we made it. Should set a higher target next time. 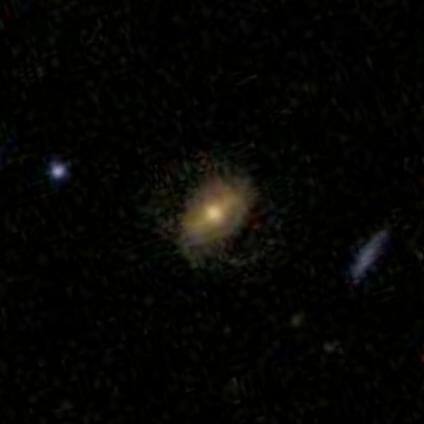 I plan on classifying galaxies for awhile no matter how many we discover in my lifetime. I hope to learn a few things while I’m about it. Maybe with the recently launch new telescope we’ll discover at least one planet that’s capable of supporting some sort of life in my lifetime. Then I could say I’ve lived from pre- Soutnik to knowing of life on other planets. Wow, 20 million. I have one word for that; absolutely amazing! Congrats all, that 20 Million was a doddle, great fun though! I have classified over 900, but I only joined a month ago, does that equate to addiction??? Congrats! Well done, very well indeed. You know… classification would be a lot easier and more accurate if we had views from two locations. So are there any craft out their sending pictures back to us or… how do we get one sent up (and how long will it take to reach a useful position?!! ).